Give Me the Hill Country! I’ve always loved the biblical person named Caleb- so much so that we named our firstborn son after him. Caleb, if you recall, was one of the 12 spies that Moses sent to check out the land of promise in anticipation of it’s conquest by God’s people. He was one of only 2 (the other being Joshua) that stood against the majority, boldly asserting that God was able to help the people conquer their enemies. He and Joshua were almost stoned to death for expressing such confidence. And he, along with Joshua, were the only 2 people of his entire generation that would be allowed to actually enter the land and take possession. But for that privilege they would have to wait 40 years. That’s 4 decades! Almost as long as I’ve been alive, this man waited and watched, biding his time in the wilderness while every one of his friends and family members died off, one by one. 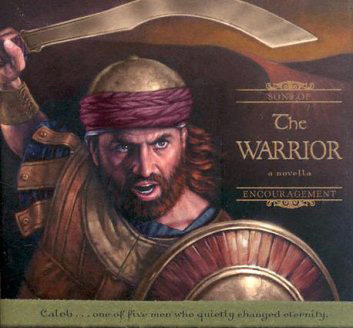 At the age of 85, at the end of the military campaign that conquered the majority of the land, Caleb approaches Joshua. I love his words so much: “I’m still as strong at 85 as I was 40 years ago. I’m as ready now as I was then. So.. give me the hill country.” The hill county, by the way, was still occupied by intimidating and entrenched enemies. No matter to Caleb. Let’s go! So much to love about this man. Not only is he still in fighting shape in his 9th decade on the planet, he is still looking for the next challenge, the next opportunity to see God come through. His faith is even stronger than his tenacity and determination. Not exactly coasting into his sunset years or looking for a beach to lie on somewhere. He is tenaciously determined to live every day of his life with passion and purpose. But here’s what I love even more. His life has been so very hard A one-time slave in Egypt. A wilderness wanderer with his people. And then 40 years– 40 YEARS!- being punished for the crimes of others. Not his fault, but he suffers along with them. And yet I don’t detect a single note of bitterness from Caleb. No complaining or grumbling at his unfair life. Just a resolute focus on God’s faithfulness and confidence- no matter the present circumstances- in God’s promises. Faithful to the end, determined to the last. How do you do that? Thanks for sharing this Richard. I so want to be a Caleb too! With God”s help there is hope.